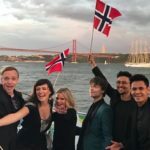 LISBOA (NRK): Alexander Rybak has suffered from illness last week, but promises to give everything to make the Norwegian population proud. “Now it’s just about saving the voice,” he says. This weekend it is the finale of the Eurovision Song Contest (ESC) and the artists are in place in sunny Lisbon. Sunday night was the official opening ceremony, where the singing talents struck a chat with the press on the way up the blue runner. 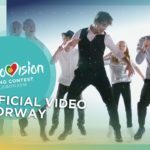 Norway and Alexander Rybak are considered among the favorites to end the victory of the bookmakers after a very good first stage test . “This is the biggest I’ve ever seen when it comes to red, sorry, blue carpets. I do not know if I’m so happy that there are so many people, because I’m so bad to say no”, smiles Rybak, who is a popular man among the press. Rybak tries to be realistic in terms of his own winning chances. “I just hope to make Norway proud. It’s a big responsibility, but it’s a fun responsibility. Asked questions about how the last week has been, Rybak answers that there has been “a lot of pleasure, a lot of sickness and a lot of practice”, where the focus has been on the upcoming semifinal. “It’s the three minutes we’re focusing on. At the same time, it is important to save the voice, whisper Rybak, who assures himself that he is on the verge of recovery. Prior to the interview with NRK, he also received questions from Gaysir’s reporter on what the Eurovision circus had been without gay fans. “So, I do not know what came first of chicken and egg,” Rybak began hesitantly. ” What’s great is that it seems that both Portugal and Norway have come a long way. But there are some countries that need a little more pushing, so I’m glad we can go ahead with a good example. 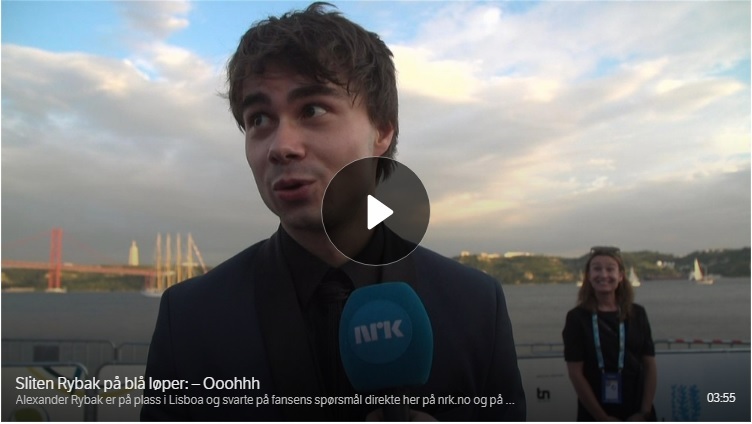 Alexander Rybak answers questions from Gaysir’s reporter on the blue runner in Lisbon. One of Alexander Rybak’s fans is Finnish Saara Aalto. She announces that she has had an extra good eye on Norway’s ESC hope for many years. “I’ve been in love with him since he won in 2009, but I’m too nervous to talk to him. He’s so cute, so I’ll try to talk to him tonight. Now I’m not afraid anymore, says Aalto, who sets the song “Monsters”. “It’s about bullying when I was little. Now I’m big and want to move on in life, says Aalto to NRK. Finnish Saara Alto says she has had a good eye on Norway’s ESC hopes. Denmark presents this year with the singer Rasmussen, who will sing the song “Higher Ground”. The Danish believes Rybak is one of the most experienced in the ESC circus. – He delivers every single time. We are in the same semifinal, so we get support each other, “said Rasmussen, who also pointed at Norway and Denmark’s common history in an attempt to harvest Norwegian votes. “Norway and Denmark were” brothers in arms “1000 years ago, so we hope this will create a sense of community,” Rasmussen says, which is unmistakably similar to Tormund Giantsbane , the “Game of Thrones” character played by Norwegian Kristofer Hivju. “I have no problems with that,” laughs Rasmussen. Danske Rasmussen says he has no trouble being told that he resembles Norwegian actor Kristofer Hivju. Rybak and his “That’s How You Write a Song” have received a lot of attention in Portugal. Already Tuesday, Rybak had his first try with fresh stage cover on the Eurovision scene, to welcome the journalists in the press zone . 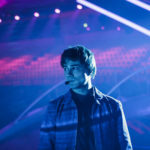 Thursday Rybak will sing in the second of two semifinals. If he goes on, it is set for the final on Saturday. The biggest favorite in this year’s final is Israel and Netta Barzilai. Barzilai says to NRK that she is a bit uncomfortable by the great expectations. “I hope to be a role- model for all boys and girls who struggle with self-esteem. 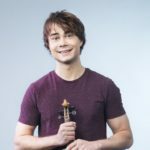 Monday 7th of May: Alexander Rybak visits students at the Metropolitana music school. Tuesday May 8: Semifinal 1. 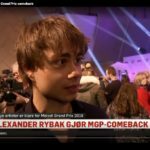 Alexander Rybak participates in SVT’s Studio Eurovision. Thursday 10th of May: General Test and Semifinal 2. Norway is fighting for a place in the final. Alexander Rybak during the first test of this year’s Eurovision earlier this week.